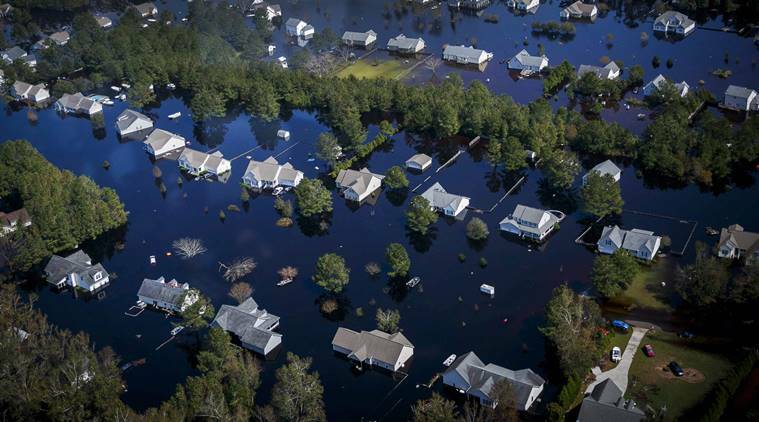 About 6,000 to 8,000 people in Georgetown County, South Carolina, were alerted to be prepared to evacuate potential flood zones ahead of a 'record event' of up to 10 feet (3 meters) of flooding, which is expected to begin on Tuesday. 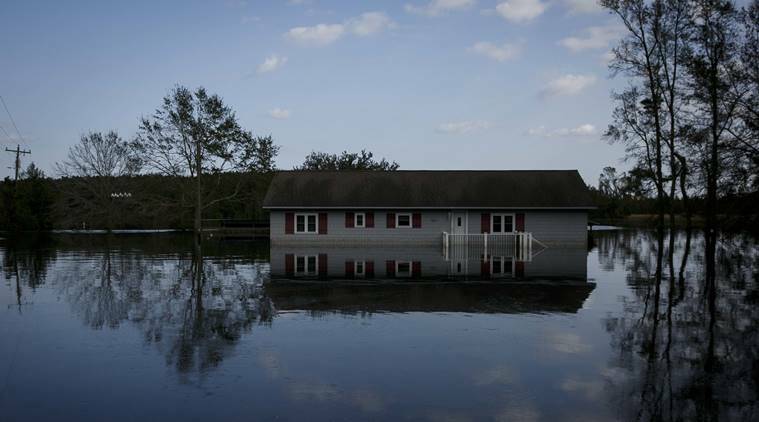 Florence is by no means done swamping the Carolinas, where rivers remain high above flood stage and thousands of people were told to plan to leave their homes Monday. About 6,000 to 8,000 people in Georgetown County, South Carolina, were alerted to be prepared to evacuate potential flood zones ahead of a “record event” of up to 10 feet (3 meters) of flooding, which is expected to begin Tuesday near parts of the Pee Dee and Waccamaw rivers, county spokeswoman Jackie Broach-Akers said. Residents along the Waccamaw were bracing for water expected to peak Wednesday at 22 feet (6.7 meters) near Conway. That’s twice the normal flood stage, and far higher than the previous record of 17.9 feet (5.5 meters), according to charts published by the National Weather Service on Monday. The Cape Fear and Neuse rivers also remain swollen, and aren’t expected to return to normal levels until October, the charts show. The county’s emergency management director, Sam Hodge, said in a video message posted online that authorities are closely watching river gauges, and law enforcement would be going door to door in any threatened areas. “From boots on the ground to technology that we have, we are trying to be able to get the message out,” Hodge said, warning people not to wait for an official evacuation order if they begin to feel unsafe. The chairman of the House Appropriations Committee said the money would be available as grants to states to help rebuild housing and public works, as well as assist businesses as they recover. GOP Rep. Rodney Frelinghuysen of New Jersey called it “a first round” and said lawmakers are ready to act quickly if the federal disaster relief agency also needs more money. An economic research firm estimated that Florence has caused around $44 billion in damage and lost output, which would make it one of the 10 costliest U.S. hurricanes. The worst disaster, Hurricane Katrina in 2005, cost $192.2 billion in today’s dollars, while last year’s Hurricane Harvey cost $133.5 billion. Moody’s Analytics offered a preliminary estimate that Florence has caused $40 billion in damage and $4 billion in lost economic output. 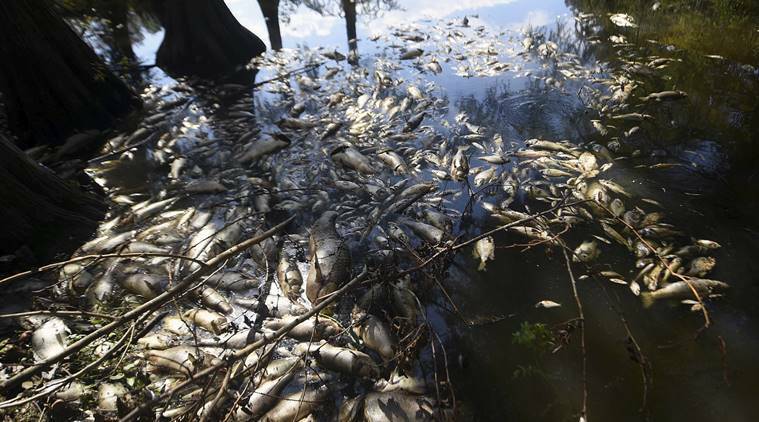 North Carolina environmental officials also said they’re closely monitoring two sites where Florence’s floodwaters have inundated coal ash sites .